The Convair B-58 ‘Hustler’ was a Cold-War-era bomber built about the 1960’s. Its most novel feature was the inclusion of escape pods for the navigator and bombardier. 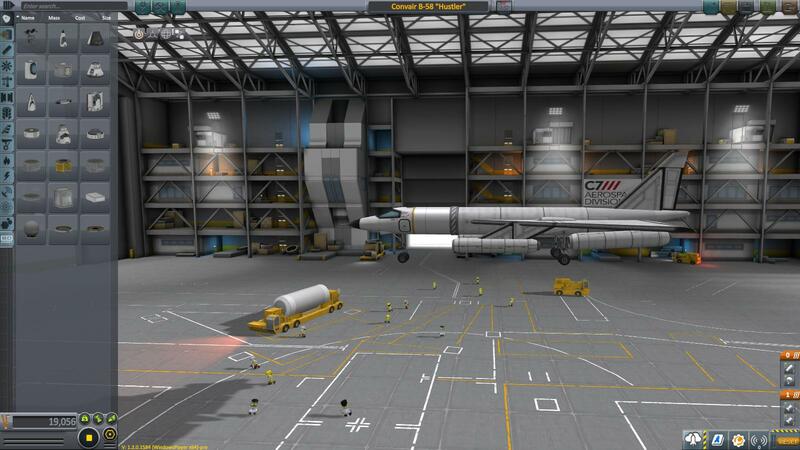 In this scale reconstruction, hit backspace to eject the pod; and to enter the pod (whilst landed), eva Jeb and board the seat inside the forward fairing; next switch control to the cockpit via tweakables, and let Jeb enjoy the flight. 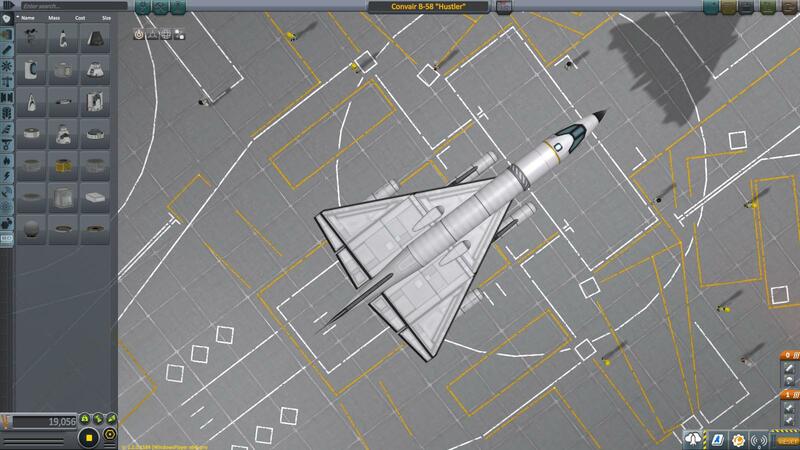 Please note, like its real-life counterpart, the craft does not handle exceptionally well due to low wing area. 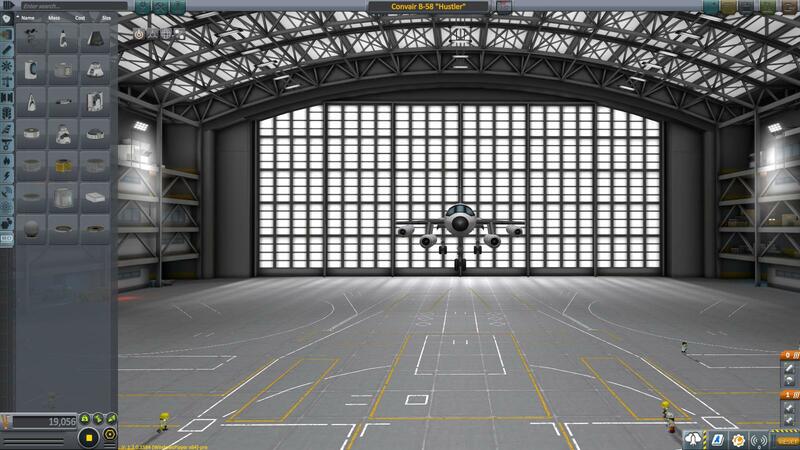 Minimum takeoff speed is thus 90 m/s.